Now We Know What ‘The Fox’ Say! 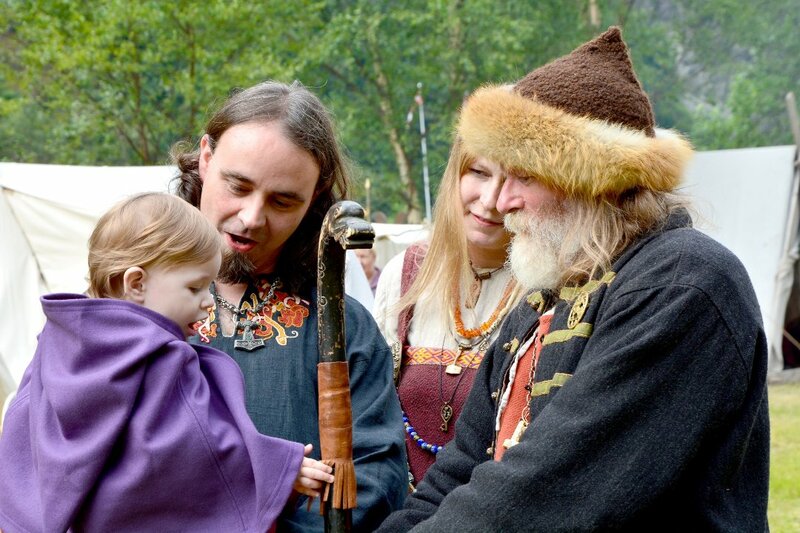 Home › Culture › Now We Know What ‘The Fox’ Say! You’ve probably heard it on the radio or seen the music video. We are of course talking about the monster hit “The Fox”. Tens of millions have seen the video starring Ylvis. The song is listed on the Billboard charts and iTunes, and yesterday the guys behind the hit visited the popular Ellen DeGeneres Show. The two brothers Bård and Vegard Ylvisåker – aka Ylvis – probably set Norwegian record in the worldwide spread of a music video. “The Fox” was originally made for their talk show “I kveld med Ylvis” (Tonight with Ylvis), and the boys have made many music videos in previous seasons. – “The Fox’” popularity is beyond our expectations – and it has been a blast. Now, it is sort of living its own life and we continue to work with the programs we are going to make this fall, says production manager of Concorde TV (Ylvis’ own production company) Emilie Øien Fretland to ThorNews. See video at bottom of article. 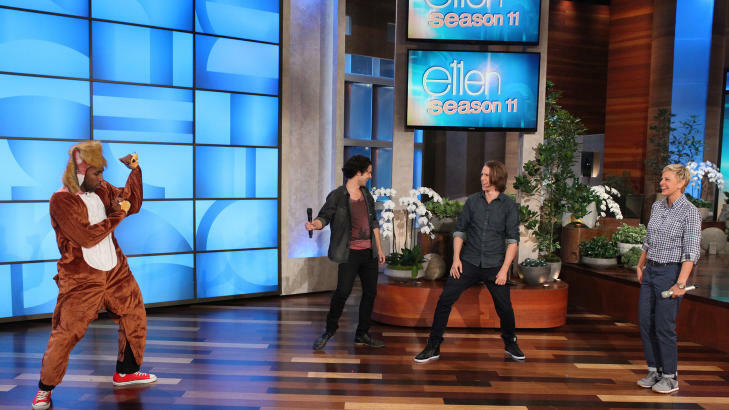 Yesterday, the guys attended the popular talk show The Ellen DeGeneres Show with Ellen DeGeneres. – I don’t know much about Norway, but I guess marijuana is legal there, said a humorous Ellen the day before their visit. – It’s the most amazing video I’ve seen in a long time. The song does not leave my head, she continued. – It’s cool that people like the things we make. We’re currently deep into new manuscript preparations, so we try not to think too much about “The Fox” right now. But of course, this is incredibly fun, says Bård Ylvisåker to TVNorge. But have we learned what the fox actually say? It may sound weird, but have you ever heard a fox? The fox is actually a mammal belonging to the Canidae family. You would think that the fox said “woof” or something, but that could not be further from the truth. The sound can best be described as a human scream, a sharp beep-like noise, or similar to a hyena’s laugh. Still not convinced? See the popular video at the bottom of the article. “The Fox” was produced by Stargate and Ola Martin Hafsmo has directed the video. Billboard: Some observers describe the song as a reaction to the overblown EDM scene. Others think it’s just plain nonsense. Regardless, the clip is going big. CNN: It’s only a matter of time before “The Fox” hits Top 40 radio and clubs, eventually making way for years of enjoyment at wedding receptions and bar mitzvahs. USA Today: Move over, PSY. Your 15 minutes are done. 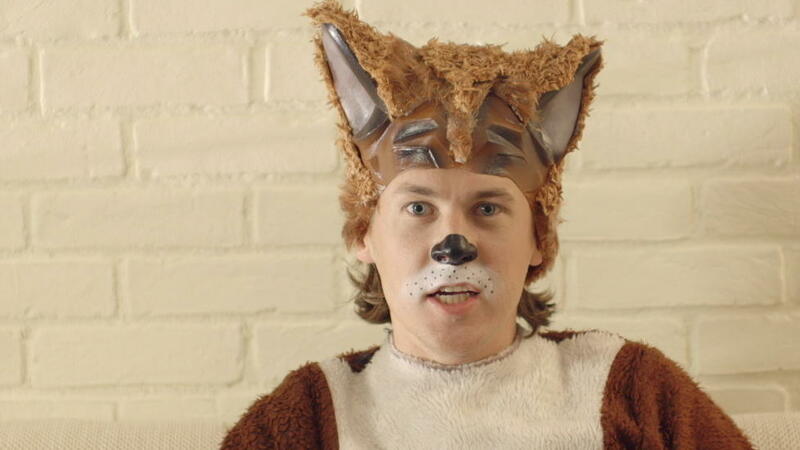 The next viral music-video sensation looks like The Fox from Norwegian brother duo Ylvis. MSN: Animal sounds music video is the strangest thing we’ve seen all day. Huffington Post: Spread the word about the fox, put on your suit and animal head, and turn this dance into the next Gangnam style. Please, we beg you. It’s too good.